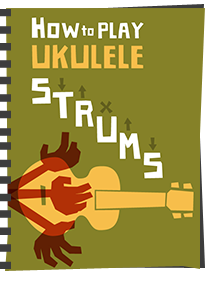 All solid electric ukuleles are a subject that I see constantly discussed on ukulele forums - and this seems to be despite the fact that there are not actually that many choices out there. I am a big fan of the Risa Uke Solid though, which certainly has its lovers and its haters. Since I wrote that review, I had an endless stream of people pointing out that I should try the Eleuke Peanut, that it was a fraction of the price, and why on earth should anyone buy the Risa? OK, OK - I succumbed. Let's take a look. I had actually owned an eleuke before - an SC100PHP - and, despite it looking the part - I sold it for one very simple reason - the one thing it was built to do above anything else - i.e. play electric - just didn't cut it for me. The pickup employed was ultra cheap, noisy and just plain bad. If it couldn't do that right, I thought, then what exactly is the point of it? So it was with some trepidation I took a look at the Peanut - one of Eleukes latest offerings in the electric ukulele range. It's key selling point? At £79 it's about half the price of the Risa Uke Solid. The first thing that strikes you about the Peanut compared to other Eleukes is the size - this thing is tiny, with a rather cute shape that gives the instrument it's name. I think it looks great! On first inspection, like other eleukes I have played, it is all put together rather nicely in terms of the main build. I am not sure whether this is a nod to the Risa, but the body on this employs the same stained and smooth satin finish wood as the Uke Solid - it shows off the grain nicely and is extremely tactile and comfortable to hold. A nice job. The body is, as I say, tiny, but of a decent thickness. Like the Risa, the whole instrument is made from a single piece of wood - no joints, neck included - just one slab of wood from tail to headstock that is finished rather nicely. I think this is billed as soprano scale. On the top of the body we have a rosewood tie bar bridge with some nice binding trim on the tie bar which looks quite pretty. The saddle is synthetic and underneath it lies the piezo pickup that gives this uke it's electric output. Also on the top are the tone and volume controls for the pickup (this being an active pickup instrument). They are small and unlike other electric ukes I have seen, don't stand out too much - they are in keeping with the diminutive size of the uke. They move smoothly, and the tone is notched at the halfway point so you know where you are with it. It's also worth noting that these controls are one of the plus points people shout about over the Risa which has none at all. Flipping the Peanut over, we see the battery compartment which takes a standard 9v battery, and the cover for the electric gubbins inside. The cover seem to be made of a laminate with wood veneer and looks kind of cheap to my eyes. Still, nobody will be seeing this. Eleuke Peanut back - battery cover in black. On the top edge of the uke are two mini jack sockets - unmarked, but both are used for the other tricks that Eleuke like to shout about. One socket is a headphone 'out' so you can plug 'phones in to it directly and listen to your playing. The other is an MP3 (or line) input - meaning you can stream your own music into the uke, then play along listening in to the headphone out. Quite a nice idea that again, is not employed on the Risa. The main instrument out is a standard guitar jack affair on the tail of the instrument which doubles as a strap button. Up to the neck, and past the second strap button - the profile is chunky like the Risa but not so square. Very comfortable and smooth though, and I think that being such a small instrument, it needs to be that chunky or you would lose control of it when playing it. The fingerboard is nicely finished rosewood, applied neatly to the neck. It is unbound, but the fret edges are fairly well hidden by the satin coat. There are 13 nickel frets, quite chunky in feel, but all are finished nicely on the ends with no sharp edges. Fret position dots in an abalone material are on the 5th, 7th and 10th frets and pleasingly, there are side markers too for the player in white. A nice touch. Up to the nut (black synthetic) and then on to the headstock which is part of the same single piece of wood. 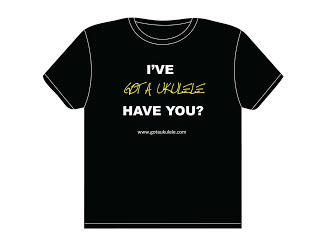 Its a simple rounded square shape that looks quite nice, with the Eleuke logo screenprinted rather badly on to the face. It's in pale gold so doesn't stand out very well and is also applied off centre. The headstock size, to my eyes looks a little small. I appreciate this is a tiny instrument, but if the headstock was a touch bigger I think it would give the uke more balance to look at. Tuning is provided by unbranded geared tuners which stick out a little too much for my liking (again, bigger headstock may help here), but generally look ok. They are finished in chrome. So in terms of describing the instrument, that really is about it - a simple affair. 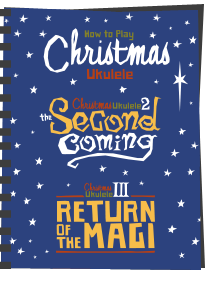 It also comes with a thin padded and zippered gig bag and a strap - much like the Risa, and the uke arrives strung with (what else) Aquila strings. Very simple - as it is intended to be. But... what you really want to know is how it plays. Well, firstly let's look at the general setup before we start looking at the electronics. Action for me at the saddle was a touch high, but not too bad, but at the nut things were much worse with most strings throwing out of tune at the lower frets. I filed them down a little and got things sorted quite quickly. If you are buying I would ask your dealer to give this a thorough setup! 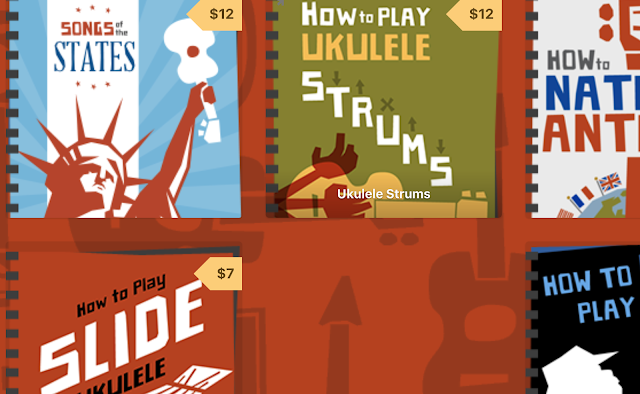 To play, the uke is quite comfortable - helped by the chunky neck and feels balanced. Sitting without a strap can find you losing the instrument a little, and whether sitting or standing I found the strap was a real bonus. It's not that light, but not overly heavy to hold, and in fact feels secure in the hands. I am also no fan of Aquila strings (I dont like the strumming feel to them and find they grip to fingers too much) so swapped them out for Worth Clears and it feels great now. With the nut adjustment and the saddle down a touch, intonation all over the neck is perfectly respectable. So things are looking positive before I plugged it in. A quick word on the tuners before we move on to the electric sound - they really are pretty nasty. Two of them are overly loose with some real slop and play in them - meaning that when you turn them you have a couple of millimetres of turn before anything actually happens at the post. The E string tuner on the other hand is extremely stiff, to the point that once every full revolution of the post it needs a vice like grip to turn it. I used a string winder to put the new strings on and actually thought the tuner was broken beyond repair. It does turn though, but with lots of effort. In short - for £79, perhaps not surprising, but bad tuners really should still be weeded out of quality control checking (and plastered all over the back of the neck are a multitude of quality control stickers....). On the plus side, once in tune, they hold just fine, but really, they are horrible. So - the sound.... Let's first look at those onboard headphone and MP3 sockets. Well, the MP3 first - yes, it works just fine. Plug in your headphones and an MP3 player and you can hear back the tune you are streaming it to it. It's a nice feature that many beginners will welcome I am sure. But the playback really ends there, because when you then actually start strumming the thing, the sound of the uke through the headphones is really rather dreadful. The volume and tone seem to do little more than switch the sound between awful and distorted to less awful. It's a thin, odd sound, that really doesn't sound like a ukulele at all, full of noise, hiss and hum and to my ears is nothing more than pure novelty. Sure, yes, I suppose it 'works' but if you like your tone and clarity of playing you will cringe at the headphone sound. I tried various 'phones with little improvement, and also found that the uke was not capable of driving much more than tiny in ear bud earphones. I suppose that at a push it works fine for, say, late night practice without disturbing the neighbours, but really, the sound would very quickly start to grate on me. Interestingly this was exactly the same complaint I had about the first Eleuke I tried some years ago. Things haven't improved then.... For me, I don't miss not having these sockets on my Risa - for £30 you can buy a decent headphone amp for any electric ukulele with a sound quality that far, far exceeds the output from the Eleuke sockets. So the onboard playback is a huge let down, but how about plugging it in direct? Well not much better I am afraid. Plugged in to an amplifier the sound is muddy and extremely noisy (lots of hiss, background noise and other unwanted nonsense). It's extremely bass heavy, and the tone control has no real range to it - more a case of it being either extremely muddy on most of the dial, or with the tone set to full, 'slightly less muddy'. There is no zing or brightness to the tone, no clarity between the strings, and it really doesn't sound like a ukulele. Only a lot of mixer twiddling is giving anything close to a nice tone, but still there is no separations between the string notes. The volume control when set above two or three really adds to the loss of clarity, meaning amplification at the amp side, and that only increases hiss and noise. It also seems to lack any sustain at all, meaning quite a staccato sound to picking. I plugged both this and the Risa Uke Solid in to the two separate channels on a Marshall AS50R acoustic amp (a lovely amplifier). The difference was night and day. The Risa really sings, it is sharp and crystal clear with little noise, and despite it having no onboard controls, changing tone settings on the amp gives a real range of sounds you can play with. (see the Soundcloud clip at the end of the review - not perfect example but recorded from ipad microphone directly off a monitor speaker) The Peanut on the other hand still suffered from the bad to the 'only slightly less bad' in the tone stakes. In fact I tried to get them matched in sound, and only got close by cranking the Risa treble down and bass up, and the Peanut treble up and bass down. Even then, the Risa still far exceeded the Peanuts tone. I also tried it through a couple of micro amps, and the issue is the same - muddled noisy tone with no clarity. All in all - rather disappointing when plugged in and requiring a massive amount of tweaking of tone for only slight rewards in sound quality. Therefore to conclude - for me it seems a real shame that the one thing this ukulele is designed to do, is not done well at all. It is not as if it is an electro acoustic where you could say 'sure, the pickup is a bit rubbish, but it sounds ok unplugged' - you can't - this uke is pretty silent unplugged. 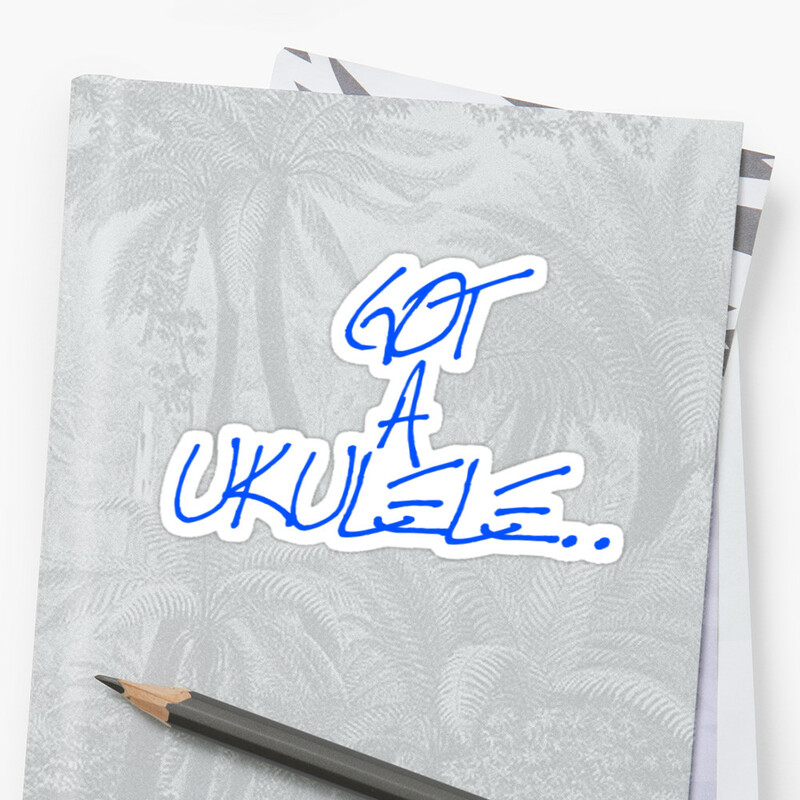 It's purely an electric uke and it doesn't deliver that single thing very well. Perhaps I got a bad one - but then this is the second Eleuke I have played and thought exactly the same issue, and a quick browse of ukulele forums will find others with the same complaint. Actually though, the first Eleuke I played was more respectable plugged in direct than this, so perhaps things have gotten worse at the Eleuke production line..
Perhaps I am being harsh - as a beginners uke, I suppose it will suffice, but it's just a shame that it will never be much more than that. My answer? 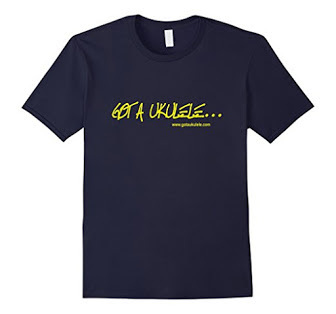 Eleuke should crank the price to just over £100 (still a bargain in ukulele terms) and fit a better quality pickup. Simple as that. And - the sound comparison - not the best recording, but you get the idea. Thanks for the review. I agree with all of the positives that you've mentioned. I use the Peanut professionally as my main uke and love it. I used to play it through a Marshall 'acoustic' amp now I play it straight through my PA. It has a distinctive sound which I like and thankfully haven't had any of the issues you mention. Cheers! That's good to hear. I did say there was a chance I got a bad one, but it's also my second bad one. Not a fan of the quality control, but, like even the cheapest Mahalos, there will, naturally be some good ones. I had one and turned around and sold it right away. I wasn't really happy with the tuners (as you mentioned) or the quality of the sound. With that said, I still would be willing to try another Eleuke in the future should I find it appealing. Playing after 9 in eve (young family) is a prob which I hoped the Peanut would resolve. And so it does - but I don't enjoy playing it. Maybe the saddle is just a bit too high. This and the sound thru the phones (any phones) makes this uke a 'needs must' practice only instrument - no pleasure. Not like my Kamoa Pineapple which I love. The Peanut is very quiet so it ticks the box of not disturbing others while I practice and that is, afterall, why I bought it. I just bought one of these because I live in halls at university as a music student, but as a gigging musician, I need to practice on this instrument in any free time I have... which is usually at night. 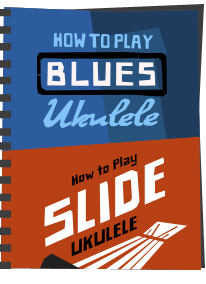 The problem with needing to practice ukulele at night, though, is that the cut off time for being noisy in halls is 11pm-7am... I haven't had any of the problems you've listed here, luckily enough! I use headphones to play late at night and no housemates have complained yet! I wouldn't ever use it for a gig, though, for fear of getting laughed off the stage! Great that you can put it in a little suitcase, shame the electrics are rubbish.....speaks volumes that you can buy replacement electrics on line for £45 approx. Mine was a firewood job on ebay for £5 ,electrics crap, bought a replacement live jack socket from China and all is well, but had to bypass headphone/mp3 function. Intonation fine, total cost about £20....well worth it. For me i'd just prefer a straight, good quality pickup straight to a jack. I can worry about gain and the like off the ukulele. Unfortunately the stock pickup in the peanut is dreadful, and all the extra wiring only adds to the noise in the signal. That's all well and good but if you've got the money to spend on a good pickup why buy a cheap peanut, This is a cheap and easy way to make a cheap uke sound better and is intended for people on a tight budget not for the likes of you Barry, the battery switch cuts all noise from the circuit board pickup and wireing straight to the socket creates less noise that original setup, try it then comment but for people reading this then try it out you will be pleasantly surprised, Duncan. Wow... 'The likes of me' eh? Nice. I think you will find that across my reviews over the years this site has been anything but a 'you need to spend top dollar' website, but that is besides the point. You are suggesting that people on a budget buy a Peanut, buy a passive pickup and install it as an extra. I am merely saying avoid the Peanut and just get a Risa Uke Solid. They are a little more expensive, but really not that much more (and certainly not that much more if you factor in the cost of a new pickup and installation time). The Risa pickup is not an expensive one, but where it shines over the Eleuke is it is not choked by a ton of unnecessary wiring. Adding a cheap passive pickup to any ukulele is not a budget breaker - you can buy them for about £20. Or... if you want a great solid electric - Just buy the Risa and be ready to go with no modifications.